I had a chance to try out the New Balance Free Foam Vongo V3 running shoes while attending the weekly Fleet Feet running event. 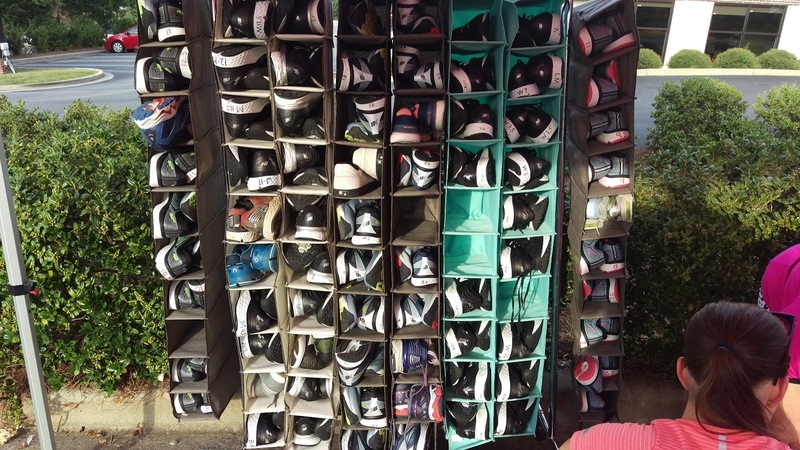 Normally on Tuesdays, Fleet Feet hosts a “Pack the Park” event in one of the local parks. On this particular Pack the Park, a New Balance representative would be there along with several different types of New Balance shoes for us to try on during our run, however, the park was closed and we tested out the shoes on a pre-determined route by Fleet Feet. 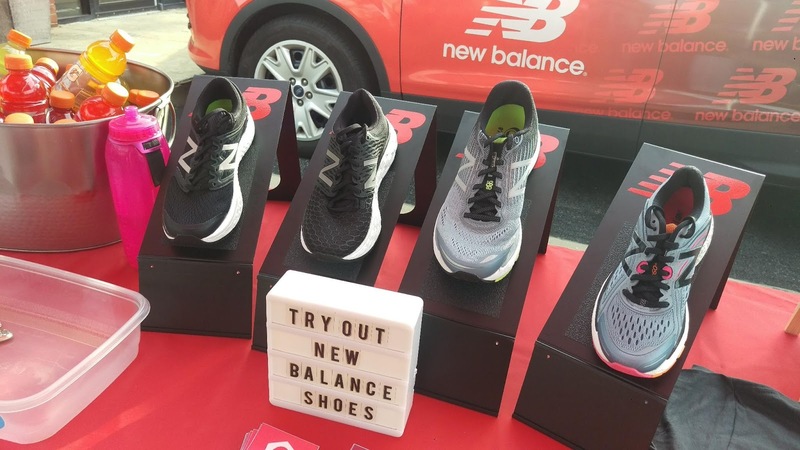 The New Balance representative had four different models of shoes for us to choice from: the 860, 880, the 1080, and the Vongo Fresh Foam. 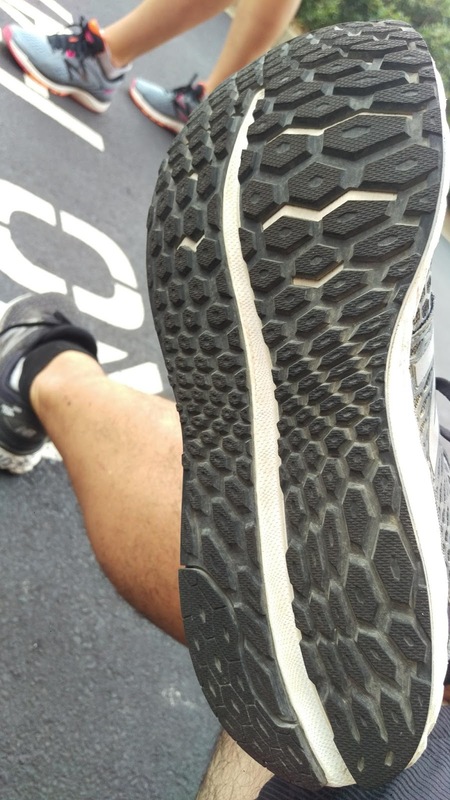 While I am usually an On Cloud person when it comes to running shoes, I have been wearing On’s Cloudflyer for the past several months because of the stability it offers. While perusing the various shoes on the rack under the New Balance tent, I asked the New Balance rep what the various numbers meant. She quickly replied that I was looking at the shoe sizes marked on the bottom of the shoes. I chuckled and said that I knew about the shoe sizes but didn’t comprehend the model numbers. That’s when she explained what 860 (support and stability), 880 (neutral support), and 1080 (neutral) were. Talking about my current running shoes, the Cloudflyer, she suggested I go with either the 860 or the Vongo. 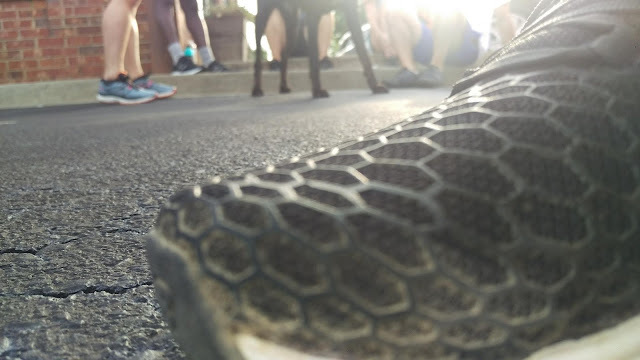 After selecting the Fresh Foam Vongo V3 because they offered a more tradition form of support for stability running, I walked around to get a feel for the shoes. They were kind of dusty on the outside, but I attributed that to me wearing a size 10, which is a fairly common shoe size. Walking around the outside of Fleet Feet on the asphalt felt okay. It was nice walking without adjusting my stance like I do for the Altra Lone Peak 3.5 with their Zero Drop foot feature. I wandered around in the Vongos and tried to put them to the test with walking: I moved while widening my stride, I would pivot in them and listen for any squeaking or other weird noises. 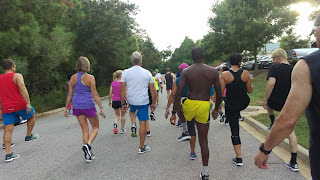 Other people were still checking out I continued walking and then started stretching my legs and rotating my ankles since I ran in the Labor Day 5 Miler the previous day and my ankle was hurting at two different times during that event. When the last person picked out a pair of shoe for the demo run, we unofficially officially began our warm-up exercises. I kept toiling with ways to make the Vongo V3 flex and move about, and yet they still felt fine before the run. 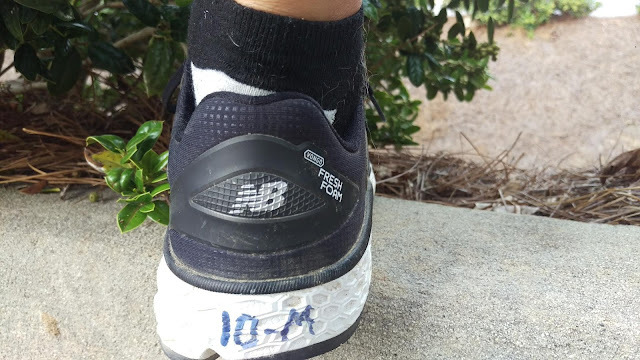 We went for our three mile run, though others who were faster opted for the four mile try-out on their New Balance shoes. Everything felt okay and normal with the Vongo V3 at first. I start behind most of the other runners and slowly work my way past each person, similar to what I do during a race. I had no intention of passing anyone, but the cushioning felt pretty good and the shoes were comfortable. However, near the one mile mark of the run, both of my heels started to hurt each time I hit the asphalt. That pain endured for almost a quarter of a mile. It was a rather annoying pain that I couldn’t stop thinking about, but wasn’t enough to prevent me from continuing running. The cushioning wasn’t helping and it almost felt like the support was not there anymore. When I hit the halfway point and turnaround, I let one of the Fleet Feet people know that my feet were hurting but I would finish the run. It took about another five minutes before the pain in my heels went away during the run. I have no idea what happened, and I couldn’t tell if the pain was residual from the race the previous day or if it was from the Vongo V3 themselves. The treads on the soles looked fairly new, but the dust atop the shoes told a slightly different story. The pain subsided to almost nothingness by the time I finished the run, but I couldn’t help but think about what caused it. 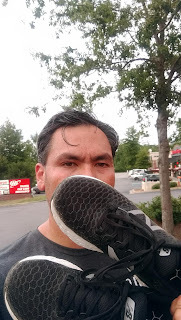 I will say that while the Vongo V3 felt good before the run and okay after the run, if I hadn’t ran in the On Cloudace two weeks prior, I wouldn’t have a good gauge to on when it came to testing shoes. With the Cloudace, I can easily compare them to my Cloudflyer and feel the difference. Both models of On shoes offer cushioning, but the Cloudace was so comfortable, provided a lot of support, and didn’t have issues. 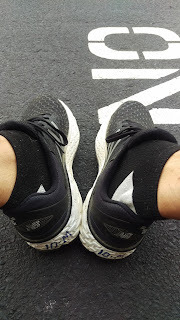 As for the Vongo running shoes, the other direct comparison I can do is with my New Balance Vazee shoes which I don’t usually wear for races, though I did wear them for a 6.5 trail race and a couple of 5k and a 10k run in the past. The Vongo feels better than the Vazee, seems to provide more support, but the traction on both felt about the same. Proper footgear is essential when running and I was very fortunate throughout my Army career that, to my knowledge, I didn’t have any foot issues. I know too many people who got out of the service and either had difficulty running afterwards or couldn’t run at all. 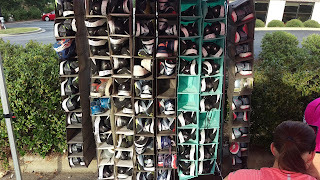 If you get a chance, test shoes before you buy, and definitely if you are given an opportunity to do a demo run with a shoe company, go for it.